When it came time to learn the gender of our baby, I decided that I wanted to do a gender reveal party for our close family. I have to admit, I was VERY surprised to find out it was a boy. I had been so sure it was a girl that I had the rest of my family and friends thinking that it was a girl as well. To share the news, I made cupcakes stuffed with blue frosting, so when everyone bit into or broke open the cupcake, the secret would be out! I used Simple Mills vanilla cake mix and vanilla frosting because of course I had to "healthily" these cupcakes :). I used this natural food coloring to make the filling blue. The blue is made from spirulina. Everything worked out SO WELL. The cupcakes both tasted and looked amazing. 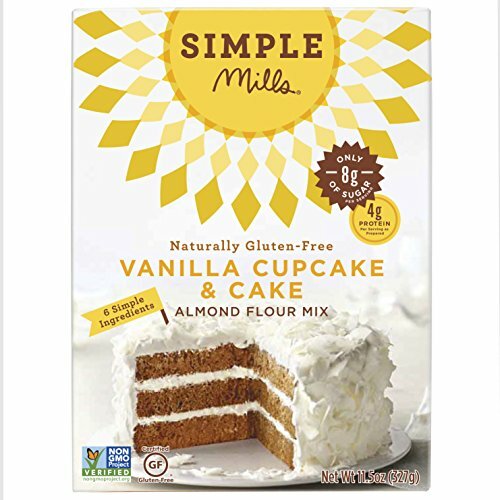 I love the Simple Mills cake mixes because they are made without grains or refined sugar. And no one could even tell the difference!